In recent health news, Researchers at the Faculty of Brain Sciences, University College London, have discovered the power of music to heal the mind. The UK team of scientists conducted a large-scale review of the effects of music therapy in the treatment of dementia. Of course, studies relating to music therapy and mental health have been done before, but this study attempted to figure out exactly what mechanisms may be responsible for music’s healing effects. The researchers conducted a review of available clinical trials. They were very critical in their choice of studies to examine, and each one was rated on various measures. The researchers found 263 potentially relevant studies, but only 18 studies met the full inclusion criteria. Eight of these studies explored behavioral and psychological aspects, five studies investigated hormonal and physiological changes, and five studies focused on social and relational aspects of music therapy. 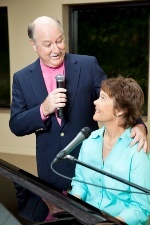 The musical interventions in the studies were diverse, but singing featured as particularly important in the treatment of dementia. The researchers concluded that evidence for short-term improvement in mood, along with a reduction in behavioral problems, was consistent in a number of the studies. However, none of the studies explored the long-term benefits of music therapy. Before something as serious as dementia starts to set in, why not participate in a music choir or group and boost the health of your brain? Singing is unique in that it has potential benefits for mind, body, and soul. It exercises the brain, helping to stave off cognitive decline and disease; it boosts social connections and builds community; and it helps to pump oxygen into your body. This is because, to sing properly, you need to expand the muscles of the diaphragm, and fill up with an extra supply of air. Singing can also be a great stress buster, as it encourages you to participate on an emotional level. For more on the health benefits of music, read Study Finds That Music Eases Pain. McDermott O et al., “Music therapy in dementia: a narrative synthesis systematic review,” Int J Geriatr Psychiatry. October 18, 2012.